Our team of Universal City movers is well-trained and has only the finest tools and materials at their disposal. We can help you move across town, across the country, and even around the world with the ease of a move across the street. As a testament to our ongoing success, we have earned a 5 Star from movingauthority.com . If you’re ready to make a move to or from the area, Acclaimed Universal City Movers is ready to help. We believe that every move should be an incredible, luxurious experience that makes you a lifelong customer. That’s why when it comes to our team of relocation specialists, we only employ the best of the best. We begin by selecting only the most qualified relocation specialists in the business; movers who have years of previous experience and insider knowledge of the ins and outs of the moving industry. Next, we enlist each new mover hired by our company into our specially-crafted, in-depth Acclaimed Movers training course. This course was designed in-house to ensure that all of our relocation specialists are remarkably skilled in the areas of wrapping, packing, disassembly, reassembly, and physical moving of the items of our customers. It’s essential to us as the premier luxury moving company in the Universal City area that we employ only the most professional and qualified relocation specialists in the business, so we make certain that all of our movers undergo the kind of training required to go above and beyond for our customers. Moreover, we equip our team with cutting-edge materials and equipment, like piano tilters, lifts, and reinforced moving boxes. Our skilled professionals and the equipment they have at their disposal combine to create a packing service with a standard of unparalleled quality. You can rest assured that when Acclaimed takes care of the packing for you, your items are sure to arrive in the same condition in which they left your care. 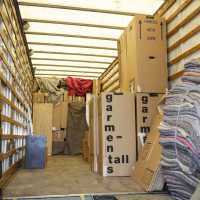 Our packing service also includes custom crating for all special items like flat-screen TV’s, artwork, pianos, pool tables, and antiques. All transportation of your belongings is carried out by our very own fleet of top-of-the-line trucks equipped with GPS. Each truck is cleaned and maintained regularly, and meets all of California’s strict regulations and standards. We’ve already taken care of the little things, so now let us take care of the heavy lifting as well. The only finger you’ll have to lift during your move is the one you use to call Acclaimed Universal City Movers. Universal City moving consultants Our local moving consultants specialize in moves around Universal City, and will help you plan and coordinate your entire relocation. Picking services, dates, and gathering supplies has never been easier with the help of these moving experts. Universal City movers We’ve put together a team of great, local relocation specialists who understand the nuances of moving in the area. We don’t hire any day laborers, only real, seasoned movers, who care about you and your move. If you let us handle the packing for you, we’ll make sure that your items arrive promptly, safely, and securely. Well-rounded services We offer luxury long distance moving, office moving, and auto moving services in addition to our local moving services. Our long distance services are great for moving around the country or around the world. Our office moving services are perfect for business looking to make a seamless transition into the future. Our auto moving services will help you bring your vehicle along, no matter where you need to go. We have developed comprehensive moving solutions for all of your moving needs. Universal City in an unincorporated in the San Fernando Valley of Los Angeles which is home to one of the largest film studios in the United States of America: Universal Studios. Just to the northeast of Beverly Hills, the area surrounding Universal City is known for its fun-filled attractions such as the theme parks at Universal Studios, which take every visitor into the world of their favorite Universal Studios movies and television shows. For fine dining, shopping, and every sort of entertainment imaginable, there is the Universal CityWalk: a promenade of restaurants and unique stores to fit the Universal City lifestyle, as well as an AMC Theater with 19 different cinemas and an IMAX. Concerts are held at the outdoor theater known as “5 Towers,” and for adults, there are seven different nightclubs to choose from. The internet is changing the moving business for the better, and it’s now easier than ever to get a quote with the advent of online quote generators. These internet tools connect you with moving companies in way that’s never been done before and expedites the process of obtaining a quote. Enter your information online, and within minutes the moving company can send you a quote via email. You’re free, no-obligation quote from Acclaimed Universal City Movers can be obtained online, or over-the-phone. We have a convenient moving quote generator located throughout our website, and are sales people are available by phone during business hours, Monday through Saturday. Also, we now perform free on-site estimates in Universal City. We’ll send our expert estimator to your home or business, at which point they will evaluate the scope of your move and present you with a “not to exceed” quote price. Our on-site guarantees that you get the most accurate estimate available, and protects you from unexpected fees and costs. Acclaimed Universal City Movers is revitalizing the moving industry, one great move at a time. Get a quote today, and we’ll get you moving.